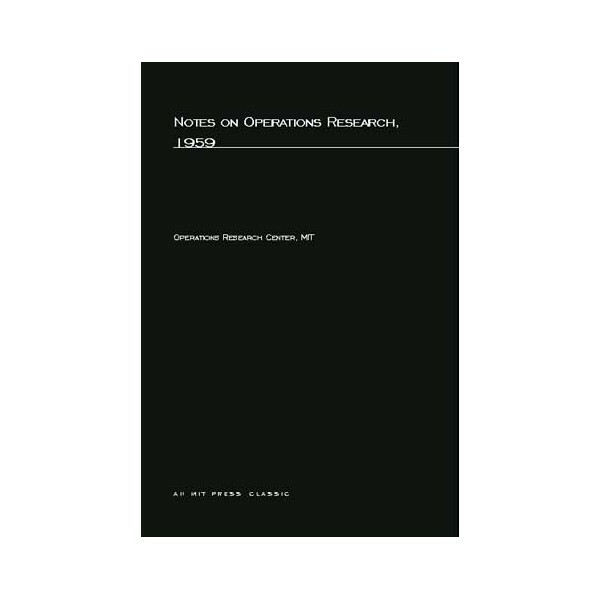 A collection of lectures from a special summer program at MIT's Operations Research Center treats topics in operations research for industry, military services, and governmental departments, beginning with the principles and application of probability theory.From the Introduction:""An operation is a pattern of activity of men and machines, engaged in carrying out a cooperative and usually repetitive task, with pre-set goals and according to specified rules of operation. 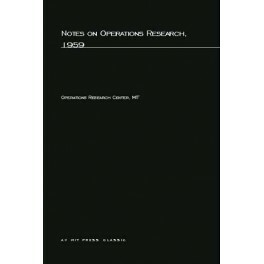 The scientific study of operarations is called operations research.... A considerable amount of variability occurs between samples of similar operations; but because of their repetitive nature these variations can be systematized by the use of probability theory. By studying similarities of pattern, predictions about one operation can be made from studies of other operations, isomorphic with the first; and thus the concept of ""repetitive nature"" can be generalized.""